Table of Contents Next: Riggs, Ralph S.
The Rigel was a United Fruit liner converted in 1922 to a destroyer tender. 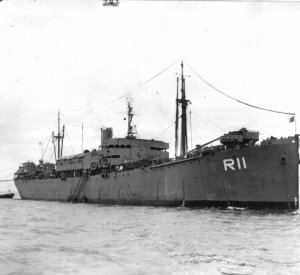 It was redesignated a repair ship in 1941. Rigel was at Pearl Harbor at the time of the attack but survived the war.